As did her two sons before her, on Thursday afternoon family matriarch Angela Wagner, 48, pleaded not guilty to all 22 felony counts against her, including eight counts of aggravated murder each of which carries with it three death penalty specifications. Wagner is one of four primary suspects in the infamous Rhoden family massacre which took place in Pike County on or about April 22, 2016. After over two years of searching, law enforcement officials made a total of six arrests in the murders earlier this month, charging four persons directly with the deaths. Angela Wagner was the third member of her family to appear for arraignment before Pike County Court of Common Pleas Judge Randy Deering this week. Sons Edward “Jake” Wagner appeared in court Tuesday, while George Wagner IV was in front of Deering on Wednesday. The indictments against Angela Wagner and George Wagner IV appear to be identical. Edward Wagner faces an additional count of sexual conduct with a minor. All three suspects have so far used court-appointed attorneys. During each arraignment, Deering made a point of noting those attorneys are certified by the Ohio State Supreme Court to take part in death penalty cases as is required by Ohio law. In capital cases, suspects must be defended by two death penalty certified attorneys. All three of the Wagner suspects were held without bond as allowed by Ohio law in capital cases. Assigned by the court to represent George Wagner IV, Portsmouth attorney Rick Nash is the only defense attorney to so far argue for bail for his client. Nash claimed his client cooperated with the extensive investigation by law enforcement and until his arrest for the Rhoden murders had a clean criminal record. Nevertheless, at the request of prosecutors, including Pike County Prosecutor Rob Junk, Deering quickly turned down bail for George Wagner IV. In many ways, Angela Wagner’s arraignment was a repeat of the previous two arraignments. In each instance, Deering talked about possible pleas then read the long list of charges against the suspect being arraigned that day. Again, the indictments against Angela Wagner and George Wagner IV appear to be identical. All three suspects waived their right to a speedy trial. At the request of attorneys from both sides, Deering imposed a gag order on all officials connected with the cases during all three arraignments. 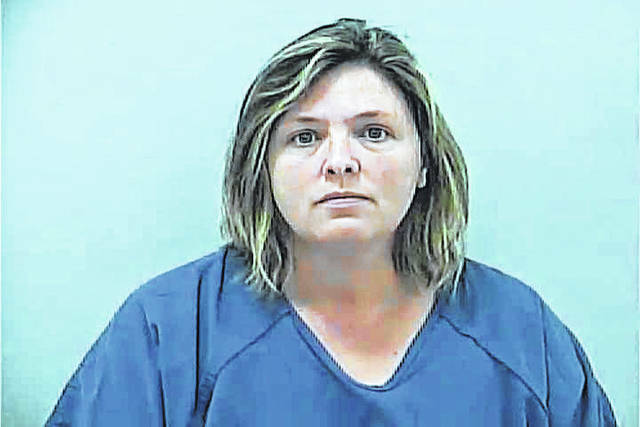 Angela Wagner will be back in court for a pretrial hearing Jan. 7. The last murder suspect in the Rhoden case to be arraigned is George “Billy” Wagner III, Angela Wagner’s husband and the father of the other two murder suspects. His arraignment is scheduled before Deering 1:30 p.m. Dec. 4. Prior to any gag order being put in place, it was widely reported Billy Wagner’s attorney intends to ask for a change of venue, moving the case out of Pike County. It is unclear if the request will apply to all four suspects. Both face felony charges of obstructing justice and perjury. The latter charges stem from false testimony the two allegedly presented in July to a Pike County grand jury investigation of the murders. Newcomb also faces forgery charges. Fredericka Wagner is the elder George Wagner’s mother. Newcomb is the mother of Angela Wagner.